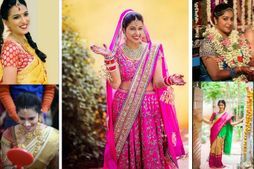 Real Brides Reveal: What Did They Buy First- Lehenga or Jewellery? Now this is one thing that might confuse a lot of brides! What do you buy first- the bridal lehenga or the jewellery that goes with it? Well, each to their own, but we thought it would be better to ask a few recent brides for what they think, and they did! So here are their two cents of advice for other brides-to-be! "I love to collect jewellery pieces and my love with the jewellery started when I was a little girl and used to ask my mother for her tikka and I remember wearing it few times as well. I have collected some beautiful pieces of jewellery over the years . I love Sabya's red lehengas and always knew that I will wear a red lehenga on my wedding, so it was easy for me to buy my jewellery first. I did not followed the rule of trying an outfit first as I had a whole look in my head. I went to few stores and everything I saw was quite common then I decided to customise my jewellery. 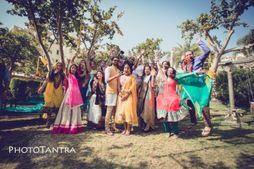 After talking to few people, I met Jaipur Diamonds and felt comfortable as they were super genuine and I decided to go with them. My whole set was customized in gold and has hints of ruby reds and touch of green. 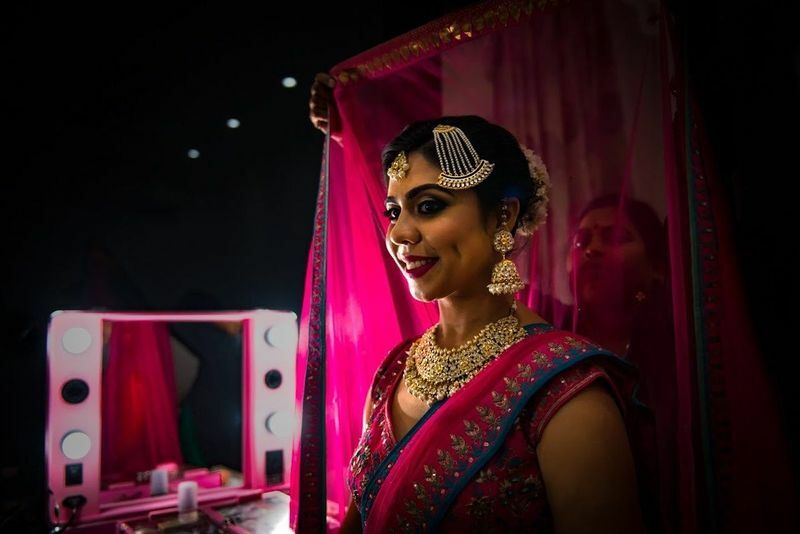 The moment I saw my tikka it was a love at first sight, and the earrings came true to my imagination and it worked well with my entire ensemble." 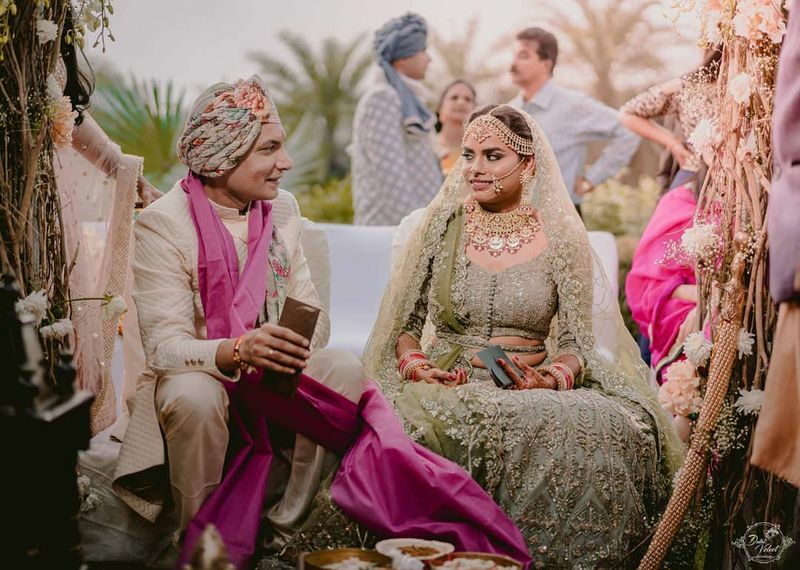 "I bought my lehenga first because that happened by default but I would always recommend brides to buy their jewellery first as its a much bigger and long term investment and investing in generic pieces in jewellery always makes sense, and generic does not mean it’s not beautiful." "I bought my lehenga first as I didn’t want to be restricted in finding my dream lehenga. 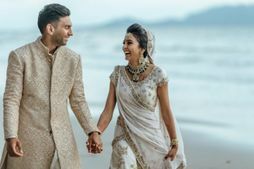 In this way, I didn’t have to worry about finding a lehenga I really loved AND making sure it complemented perfectly to the jewellery I bought." 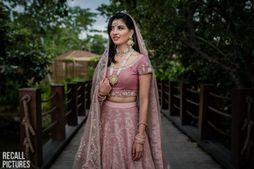 "I bought my lehenga first for two reasons, firstly because all places usually take at least 2-3 months to get the outfit ready so I didn't want to rush that process and secondly, I wanted to ensure that the jewellery I buy goes with my outfits." 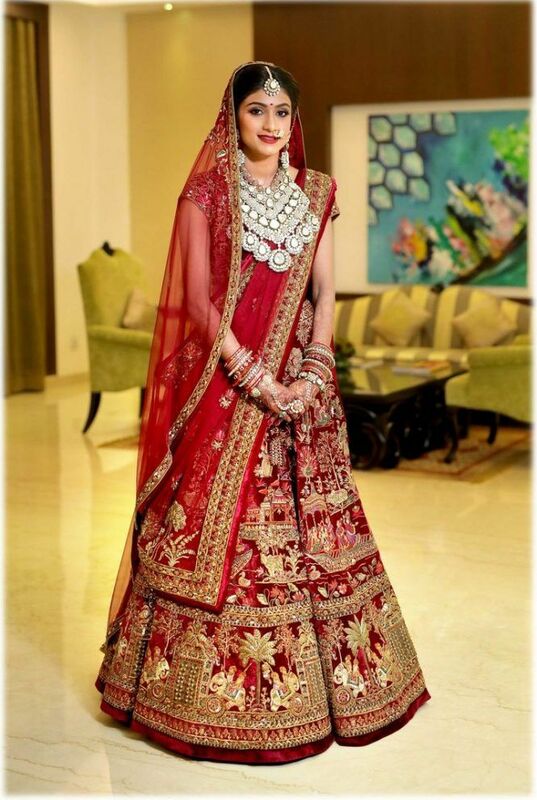 "I bought my lehenga first and then matched jewellery to go with it. I'm more of an 'outfits' person compared to 'accessories' and I feel the outfit defines your look at the wedding. Plus I like to wear lighter things and bridal lehengas are far from that so I knew my options for a subtle bridal lehenga would be minimal. Also the length of the necklace really determines the cut and style of the blouse and I really didn't want restrict that before being sure of what I can carry with confidence. 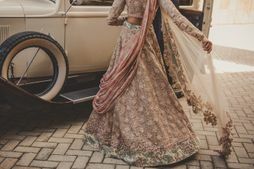 Hence I picked my lehenga and matched jewellery that would go well with the lehenga as well as most forms of Indian outfits, from suits to shararas to sarees. The upside to jewellery is that the trends dont change drastically over times and one only ends up reusing their jewellery multiple times in life. Hence I decided to pick up something classic and versatile to go with my lehenga." "I was very picky about both my wedding set and my outfit. I guess both were finalized about 40 days before my wedding. Going back in time, I guess my wedding set was picked up first." 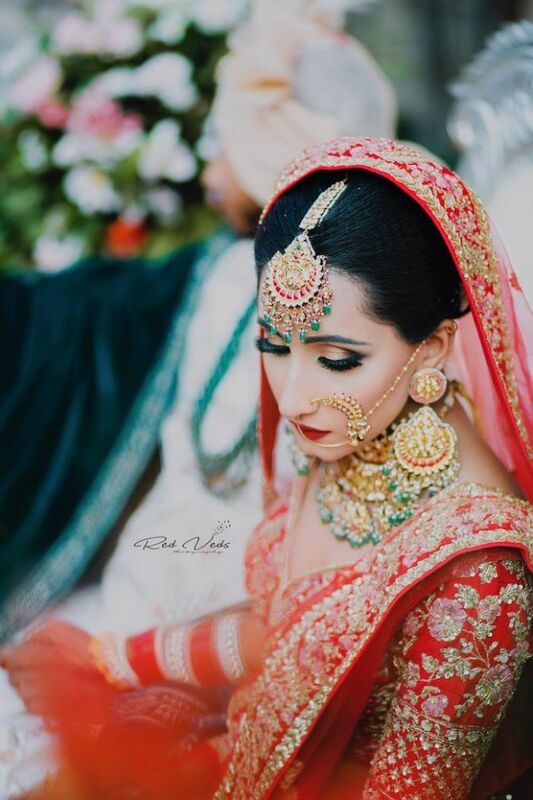 ALSO READ: Real Brides Reveal: The Most Unique Piece Of Floral Jewellery They Flaunted! Real Brides Reveal: One Suggestion They’d Like To Give To Other Brides! Real Brides Reveal: The One Decor Idea That I Loved! Real Brides Reveal: The Most Helpful Bridal Beauty Treatment They Opted For! Real Brides Reveal - One Skincare Hack They Swear By! 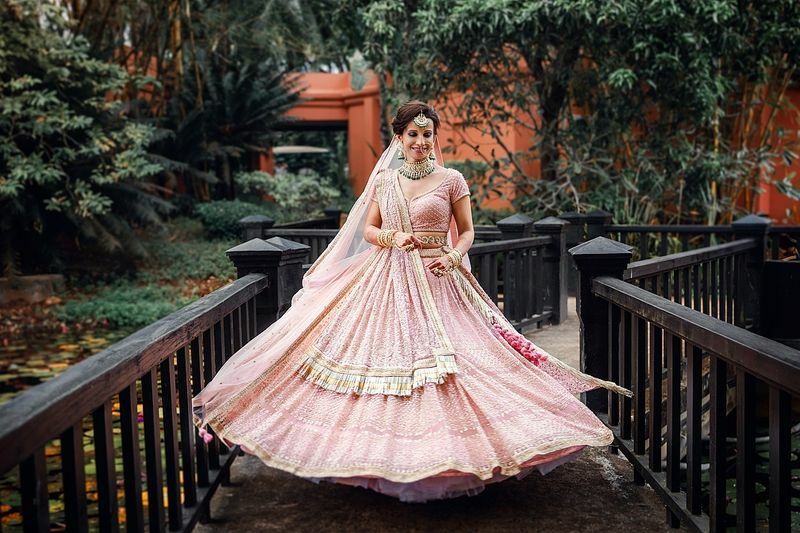 Real Brides Reveal : One Lehenga Shopping Trick They Used While Shopping! Real Brides Reveal: First Night Pranks Their Friends Pulled! Real Brides Reveal: 6 Brides Tell Us Their Worst Wedding Nightmare!